New roof - 2018, New kitchen cabinets and granite counters - 2018, New hickory wood laminate floors - 2018, New interior and exterior paint - 2018, New pool marcite - 2017. 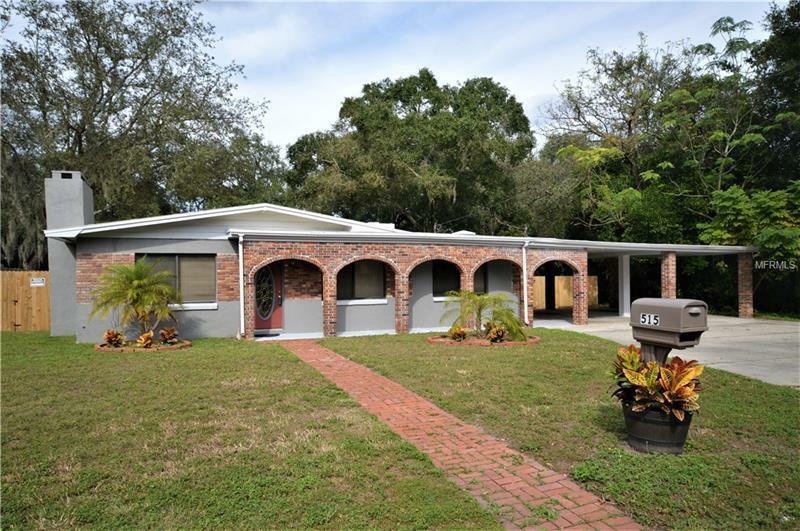 BEAUTIFUL 4 bedroom 3 bath pool home with attached double carport. ~.4 acre premium homesite. Truly spectacular home. Covered front porch. Attractive architectural features. XL living room w/fireplace. 19' x 12' dining room w/indoor gas grill. The dream kitchen is beautiful, spacious, and is the focal point of the home. Relaxing owner's suite and private bath overlooks the manicured grounds. Split bedroom plan with very nice 2nd/3rd bedrooms adjacent to full 2nd bath. 4th bedroom with private 3rd bath. Large wood deck from the master suite overlooks the huge back yard. The fenced back yard is the perfect place to enjoy the Florida lifestyle with a separate ~1400 sf outdoor entertainment center, including a huge terraced swimming pool, expansive sun deck area, covered food prep center, and a 12' x 9' flex room with electric. The expansive grounds provide space to accommodate most anything you like. This beautiful home also provides ample parking with the oversize drive & attached double carport.